Step one – Create a new page and call it “Home” (or whatever you like). Step two – Set that page as your front page in Settings > Reading (Note* Don’t set your post page here. You don’t need to with this theme). Choose if you want to have a sidebar on your page. If so, choose a sidebar to use. 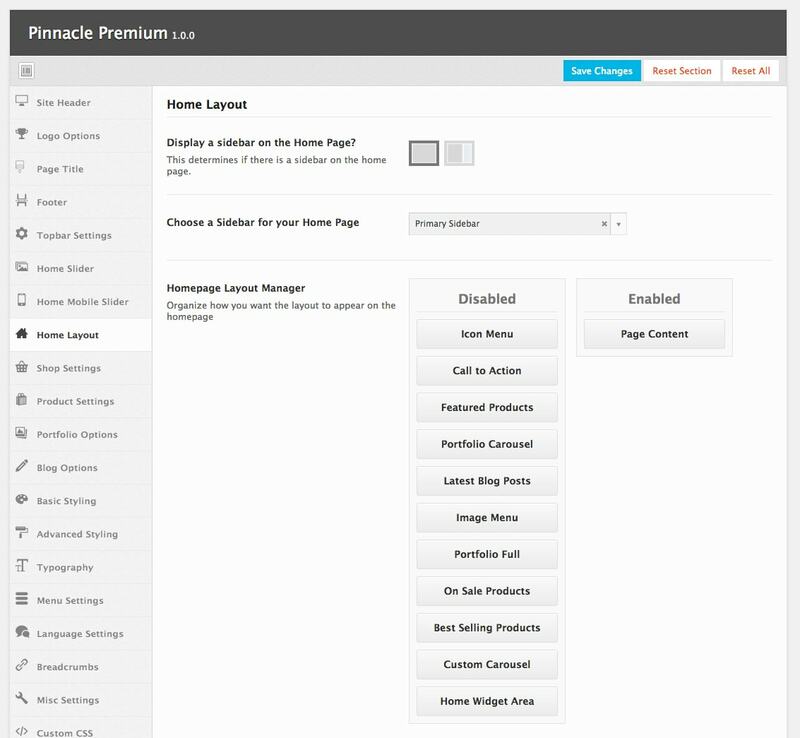 Enable the modules you want and organize them the way you want in the Home Page Layout Manager. Adjust the settings on your enabled modules.